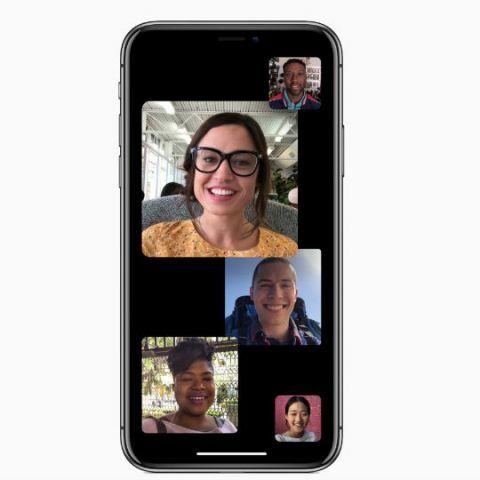 Recently it was discovered that an iPhone user could eavesdrop on another iPhone or Mac user using the group FaceTime feature. Now, the Cupertino giant is being sued because of the bug. Bloomberg has reported that a Houston based lawyer is claiming that his iPhone allowed an unknown person to eavesdrop on a private conversation with a client. According to the Bloomberg report, “Attorney Larry Williams II said the glitch intrudes on the privacy of “one’s most intimate conversations without consent,” according to the complaint he filed in state court in Houston. He said he was eavesdropped on while taking sworn testimony during a client deposition. Williams is seeking unspecified punitive damages on his claims of negligence, product liability, warranty breach.” According to the source, Apple has declined to comment on the lawsuit. According to emails Michele Thompson shared with NBC News, she tried to get in touch with Apple's general counsel with a letter headline, "Urgent Security Issue Regarding iOS 12.1.3." But got no response for this. She also shared a video showing the step by step process accessing the bug. The video is not public as it contains their phone numbers. The story about the iOS bug was first broken by 9to5 Mac. You can read about the bug in detail here.